In a move reminiscent of the hanging chads of Florida, Nelson Peltz appears to have won a recount by 43,000 votes, according to a report by CNBC, which would give him a victory in a bitterly contested board seat at Procter & Gamble Co., the world's biggest marketing spender. 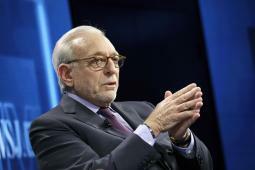 Peltz's Trian Partners confirmed the report in a statement. P&G in a statement said the recount by IVS Associates had Peltz leading former Mexican president Ernesto Zedillo for the final board seat by 0.0016% or 43,000 votes. 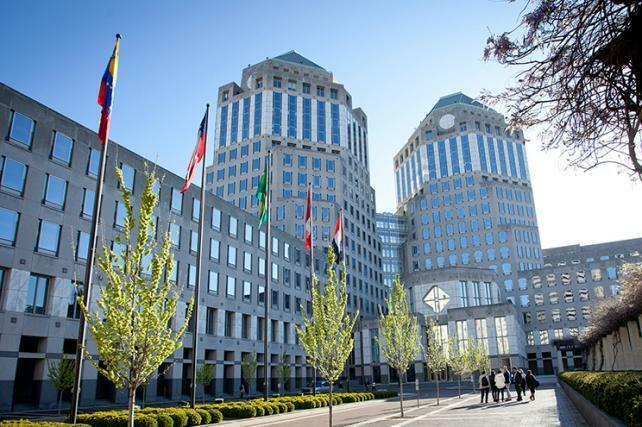 Those resulst are "preliminary" and subject to a "review and challenge period," P&G said. The move has no immediate effect on the company's direction but deals a significant defeat to a management team that did everything it could to stop Peltz, who runs the Trian Partners hedge fund. He's only one vote on a board that opposed him. During an often bitter campaign from July through October, Peltz said he won't push to fire Chairman-CEO David Taylor, break up the company or slash marketing and R&D spending. Taylor and board members have already spoken out against some of Peltz's key recommendations – like reorganizing the company into three largely autonomous units – or say they're already doing other things Peltz wants, like hiring more people from outside the company. But the move means that two sides that spent an estimated $60 million to $100 million attacking each other since July in a vitriolic campaign need to find a way to work together. That's a course most companies confronted by Peltz – such as PepsiCo, Wendy's and Mondelez -- have taken in the first place, and one several alumni shareholders suggested P&G take, even if they ultimately voted against Peltz. One prominent P&G alum, William Johnson, once unsuccessfully opposed a Peltz bid for a Heinz board seat. But they ultimately learned to get along quite well after Peltz won, and Johnson later became Trian's addition to the PepsiCo board. Should Peltz truly create a "shadow management team" to second-guess P&G management, as P&G says he's been prone to do at other companies, Johnson would seem a prime candidate to become shadow CEO. But assuming the Peltz win persuades P&G to go along with Trian's plans, it could have a major effect, including turning the world's biggest advertiser into three smaller ones. Peltz in his September white paper called for reorganizing P&G into three largely autonomous units linked by a "lean corporate structure." He'd like them to free to go their own way on things that include hiring ad agencies and buying media. Peltz sees P&G falling behind in digital media and needing to hire a lot more executives from outside. And after the company shed around 100 brands to focus on its biggest ones, Peltz believes P&G should stem the tide of share losses by acquiring or otherwise growing more startup and emerging brands. Interestingly, earlier in the day, P&G announced it had acquired Native, a small San Francisco-based direct-to-consumer deodorant brand, and in a talk at the Ad Age Next conference earlier today, Chief Brand Officer Marc Pritchard said that could serve as a platform for more direct-to-consumer brand launches. But in the campaign against Peltz, P&G said it believes Peltz's reorganization would waste money and is just a Trojan horse to position the company for later breakup. Pritchard points to a host of digital accomplishments and e-commerce growth, even as he uses the company's buying power to argue for better accountability from digital players. "Trian strongly urges P&G to accept the inspector's tabulation and not further time and shareholder money contesting the outcome," the company said in a statement.